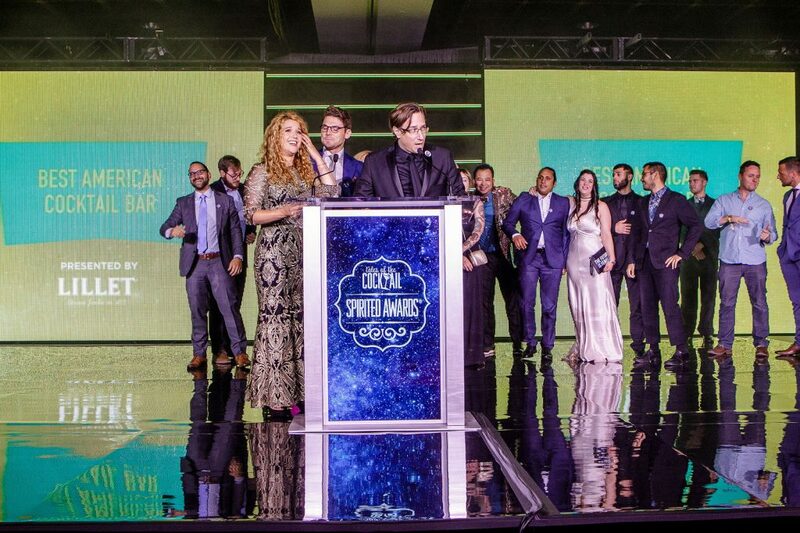 “At this weekend’s Tales of the Cocktail festival in New Orleans, Drink Company’s cocktail bar and tasting room Columbia Room won the coveted Best American Cocktail Bar category of the Spirited Awards. The award was received by Drink Company President Derek Brown, CEO Angie Fetherston, and Columbia Room Head Bartender JP Fetherston. The original Columbia Room opened inside of the Passenger in 2010, and earned James Beard Award nominations. Relocating to Blagden Alley in 2016 with three distinct experiences – Tasting Room, Spirits Library, and the newly bloomed Punch Garden- Columbia Room reemerged just as Bon Appetit named DC. its Restaurant City of the Year. To bring cocktails and bartenders into the conversation, the team has created an incredibly detail-oriented service and education experience that pairs classic and original cocktails with inventive plates from Head Chef Johnny Spero.